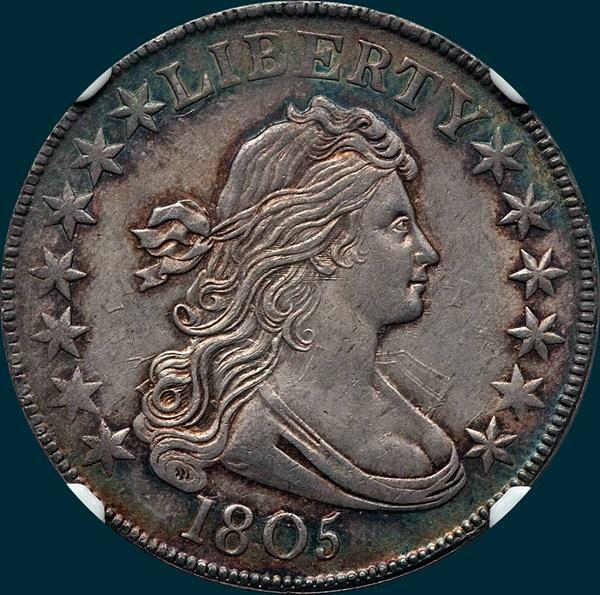 If one is looking for an XF or AU 1805 for a type set, this would be a likely candidate. 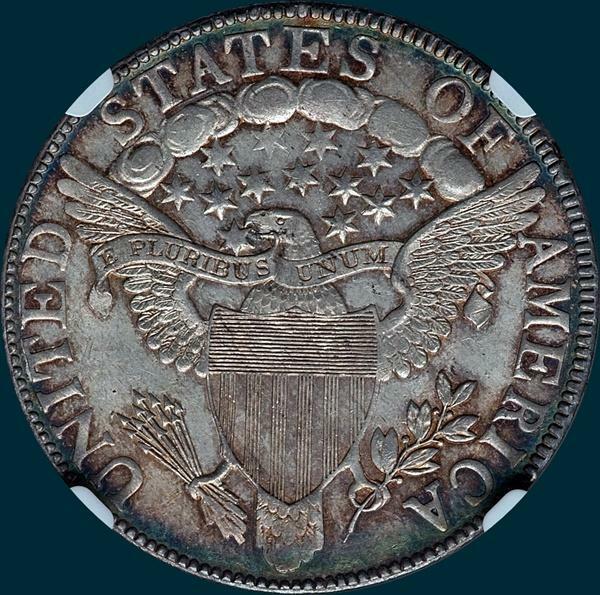 2 MS coins emerged recently, with a relative abundance of AU and XF coins available. Reverse- 5 berries and all have stems. eagle's beak comes down on upper side of star point and lower point of same star is embedded in scroll. Point of leaf below right base of I. 13 arrows. On all observed specimens a die crack joins top of ES OF then across tip of wing down through AMERICA and across tail feathers. Two branches from this crack between AM, one to wing, the other across left serif of M to milling. Another crack from milling below tail feathers and still another from edge between I and C to main crack.